Experience and knowledge (over 30 years). Celebrating 30 Years of Grooming Excellence! At TLC grooming, we have an award-winning team that is not only gifted, but friendly, knowledgeable, experienced and love animals. We have experts in all fields, whether it's show dog cuts, hand-stripping, out of the ordinary haircuts or anything else you can imagine. With over 30 years of experience in client satisfaction, our goal is, and has always been to give you the best possible service at the best possible prices. At TLC, your pet(s) well-being always has and always will come first!!! Ottawas' original blade and scissor sharpening store!!! ​Recommended and trusted by Veterinarians, Professional Groomers, Grooming Salons, Major Retailers and everyday home users. Practicing safe techniques are necessary to prevent any harm to your precious pet!!! All natural remedies for your pet that actually work!!! ​save $$$ on vet bills!!! Forget brushing. Add to pets water. The real deal. Often imitated but never duplicated!!! Make your dog feel like a puppy again!!! 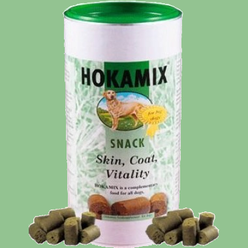 Helps your pet overcome aging problems such as arthritis and inflammation. Your pet deserves to be pain free. Extend your pets life and save on unnecessary vet bills!!! A delicious snack that actually restores your pets health!!! For allergies, skin issues, hip problems and more. ​Over 20 years and thousands of satisfied pet owners. Voted as one of Ottawa's 3 best rated grooming salons. A true gem in Ottawa where they actually care about your pet. Great staff and affordable prices. My little guy loves going there. ​Not only do they do a wonderful groom but they even offer free treats. Compare our prices to the competition!! !